George Clinton’s Mothership Landing in D.C.
Parliament-Funkadelic's legendary stage prop -- The Mothership -- will find a new home at the National Museum of African American History and Culture, the Washington Post reports. It will be part of a permanent music exhibit when the museum opens in 2015. "I'm about to cry!" 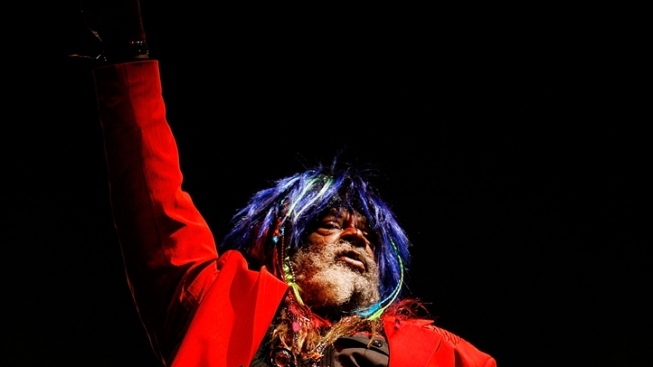 Parliament-Funkadelic frontman George Clinton said in a phone interview with the Post on Wednesday. "They're taking the Mothership! They're shipping it out! But I'm glad it's going to have a nice home there." And if there's one thing we need more of in this town, it's obviously spaceships. The 1,200-pound, smoke-emitting stage prop is an exact replica of the original, said Clinton. The original Mothership debuted in 1976 -- but in 1982, the band's rising debts forced their management company to ditch the Mothership in a Prince George's County scrap yard. Since then, there have been many unanswered questions about its fate. In April 2010, a Washington Post article about the Mothership's whereabouts sent a project historian for the Smithsonian searching for the legendary stage prop. His efforts didn't get him very far. Conveniently, Clinton happened to have a replica, built in the 1990s -- and ultimately he decided to donate the piece for the exhibit. Although Parliament-Funkadelic formed in New Jersey, it found a loyal following in the D.C. area, and Parliament's 1975 album "Chocolate City" gave the District an unofficial nickname.